Texas Optician Insurance. As an optician, you assist your clients in finding the right pair of eyeglasses. Whether they need bifocal lenses, want to choose from the best designer frames, or simply need a pair of reading glasses for those times when their eyes feel stressed or tired, you help them find the right pair, and perfect set of frames. With this in mind, your shop has several display cases, you offer a wide range of services (eye exams, testing, etc), and you have pricey equipment which can get damaged. When it comes to choosing your Texas optician insurance, these are a few forms of coverage to consider adding to your general liability coverage. Texas optician insurance protects your practice from lawsuits with rates as low as $37/mo. Get a fast quote and your certificate of insurance now. Of course you have general liability for your practice. This will shield you against those slip and fall accidents, if a client is injured while visiting your offices, and to protect you from lawsuits stemming from injuries. Your policy should cover medical expenses, general doctor visits, and the cost of medication or surgery tied to injuries a client suffers, if you are found to be liable for their injuries. But, in addition to your general liability, what else should you add to your Texas optician insurance coverage? Property Insurance: This will cover your TX business in a time of need. If a pipe bursts and causes major damage, if a storm hits, or if other damage ensues, this coverage will protect your business (building) as well as its contents. You can protect your designer frames, pricey equipment, testing equipment, and other supplies used in performing eye exams or other testing for clients. Due to the nature of your business, and high cost of equipment and designer frames sold in your storefront, as an optician, it is important to have the right property insurance policy in place. 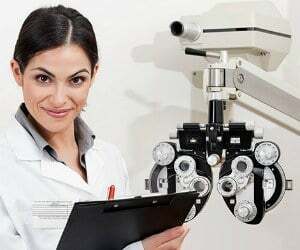 Malpractice Insurance: - This Texas optician insurance is also know as professional liability or errors and omissions. In the event of a misdiagnosis, or if you perform eye exams/tests which cause an adverse reaction, or even if you use eye drops or other medications which cause injuries to clients, you have to protect yourself as an optician. Clients are going to sue you for nearly anything; and, as it pertains to their vision, if you are at fault, this can lead to costly and lengthy trials and legal cases. With malpractice insurance, you not only protect your name as a licensed optician, but also your entire practice you've built, in the event of a lawsuit. Business Owner's Policy: A business owner's policy (BOP) will protect opticians from injuries, liability claims, and protects your office (structure and equipment). It is basically an addition to your general and property liability insurance coverage prongs to your optician insurance policy. Operations liability, contract liability, and advertising liability claims, may also be covered under your Texas optician insurance BOP, in the event of a lawsuit and pending legal charges or claims. Cyber Liability: In the event you own an online site, where clients can purchase eyeglasses, order frames, or make purchases online, you should consider adding this form of coverage to your optician insurance policy as well. Due to the high risk of cyber threats, hacks, leaks, and possibly losing confidential information (such as addresses, credit cards, etc), you need to shield yourself from liability as an optician. 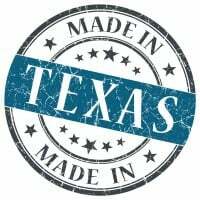 With this Texas optician insurance cyber security addition, you can do just that. Commercial Umbrella: A umbrella policy is excess liability protection. If your liability limits for general, property, cyber, or other insurance protections doesn't fully shield your business from liability, your umbrella coverage can. It is an addition to your Texas optician insurance policy limits, and can provide additional coverage for your business in the event of damage, injuries, business interruption, or other issues you deal with as a business owner in this field of work. Request a free Texas Optician insurance quote in Abilene, Allen, Alvin, Amarillo, Arlington, Austin, Balch Springs, Baytown, Beaumont, Bedford, Benbrook, Big Spring, Brownsville, Bryan, Burleson, Carrollton, Cedar Hill, Cedar Park, Cleburne, College Station, Colleyville, Conroe, Coppell, Copperas Cove, Corpus Christi, Corsicana, Dallas, DeSoto, Deer Park, Del Rio, Denison, Denton, Duncanville, Eagle Pass, Edinburg, El Paso, Euless, Farmers Branch, Flower Mound town, Fort Worth, Friendswood, Frisco, Galveston, Garland, Georgetown, Grand Prairie, Grapevine, Greenville, Haltom City, Harker Heights, Harlingen, Houston, Huntsville, Hurst, Irving, Keller, Kerrville, Killeen, Kingsville, Kyle, La Porte, Lake Jackson, Lancaster, Laredo, League City, Leander, Lewisville, Little Elm, Longview, Lubbock, Lufkin, Mansfield, Marshall, McAllen, McKinney, Mesquite, Midland, Mission, Missouri City, Nacogdoches, New Braunfels, North Richland Hills, Odessa, Paris, Pasadena, Pearland, Pflugerville, Pharr, Plainview, Plano, Port Arthur, Richardson, Rockwall, Rosenberg, Round Rock, Rowlett, Sachse, San Angelo, San Antonio, San Benito, San Juan, San Marcos, Schertz, Seguin, Sherman, Socorro, Southlake, Sugar Land, Temple, Texarkana, Texas City, The Colony, Tyler, University Park, Victoria, Waco, Watauga, Waxahachie, Weatherford, Weslaco, Wichita Falls, Wylie and all other cities in TX - The Lone Star State.